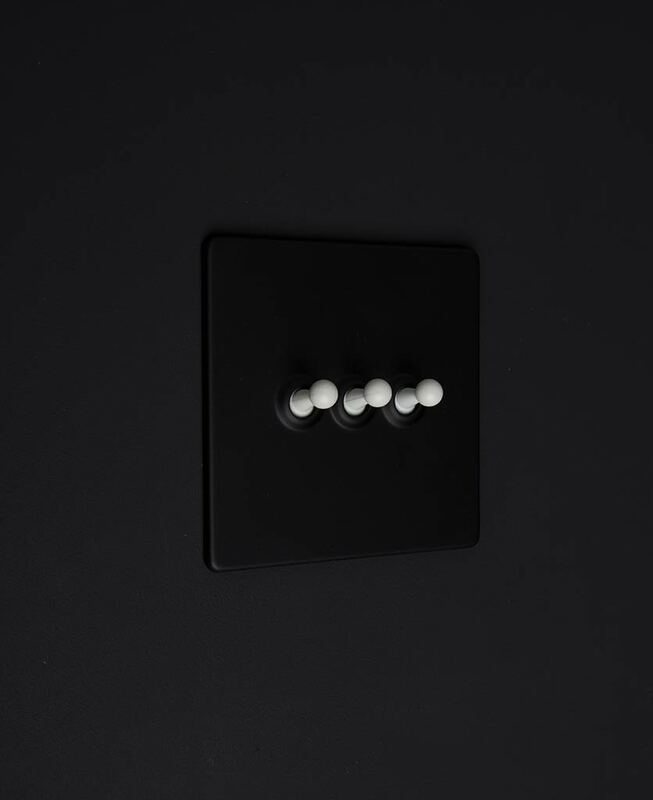 Add a beautifully retro twist to your interiors with these designer light switches. They’re a perfect way to introduce an industrial element to your interiors without making your room look like a factory warehouse. 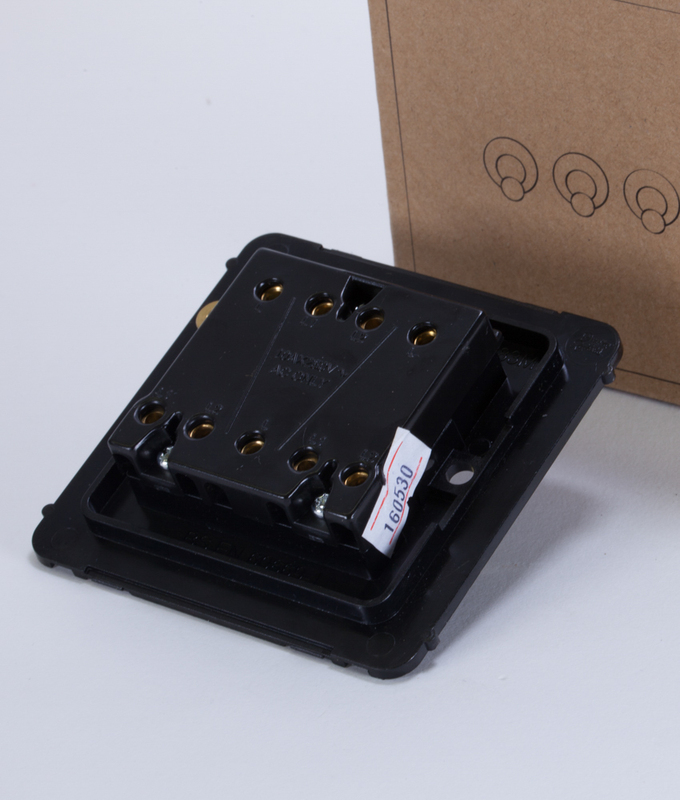 These switches a solid metal so are hard-wearing and look the part. THE most enjoyable way to flick your lights on and off! 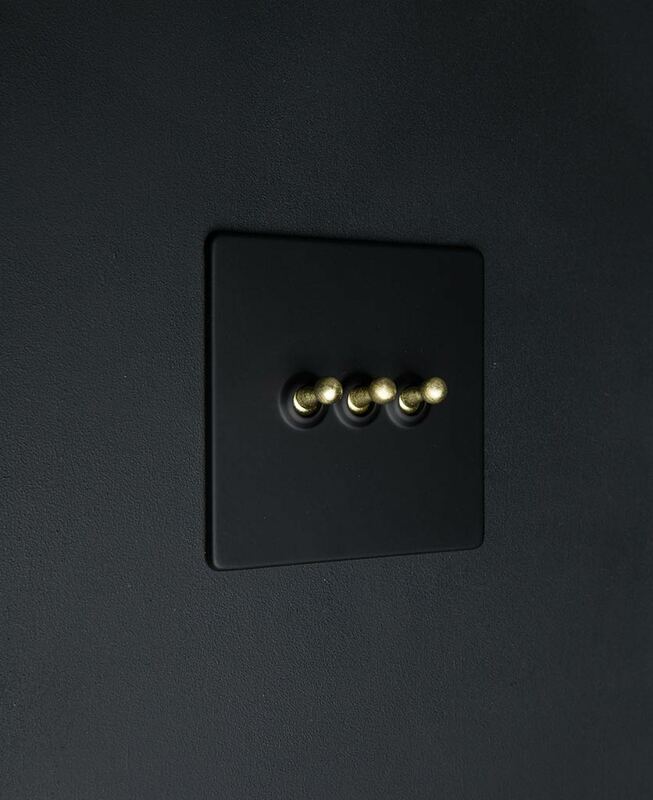 Our toggle light switch 3 toggle black is a triple toggle switch with a matt black plate and a choice of either matt black, silver, white or brass toggles. Its fittings are completely concealed for an immaculate finish, and it’s LED compatible. All good. 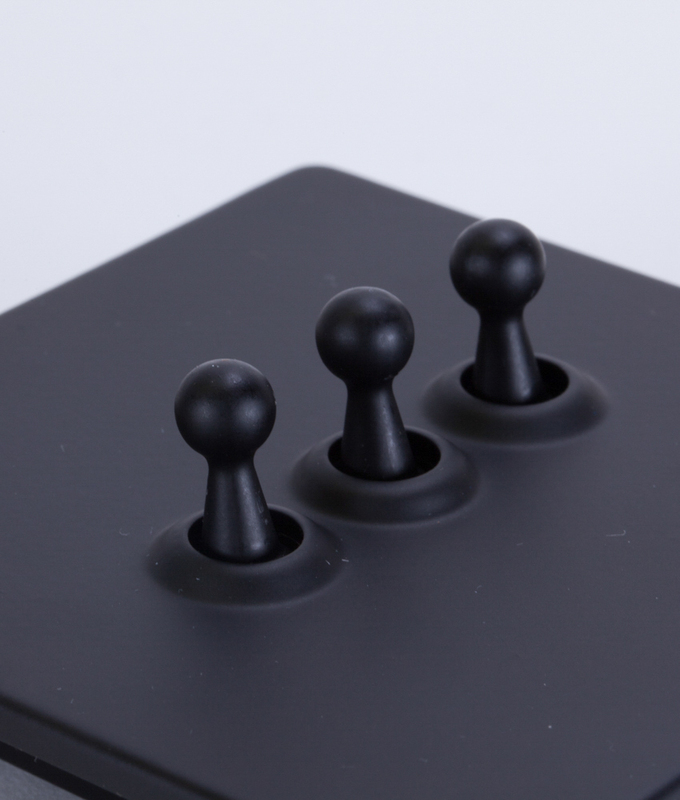 We love this all black triple toggle switch. No fuss, no unnecessary embellishment just a beautifully subtle contrast in surface finishes. One for lovers of the understated we think. 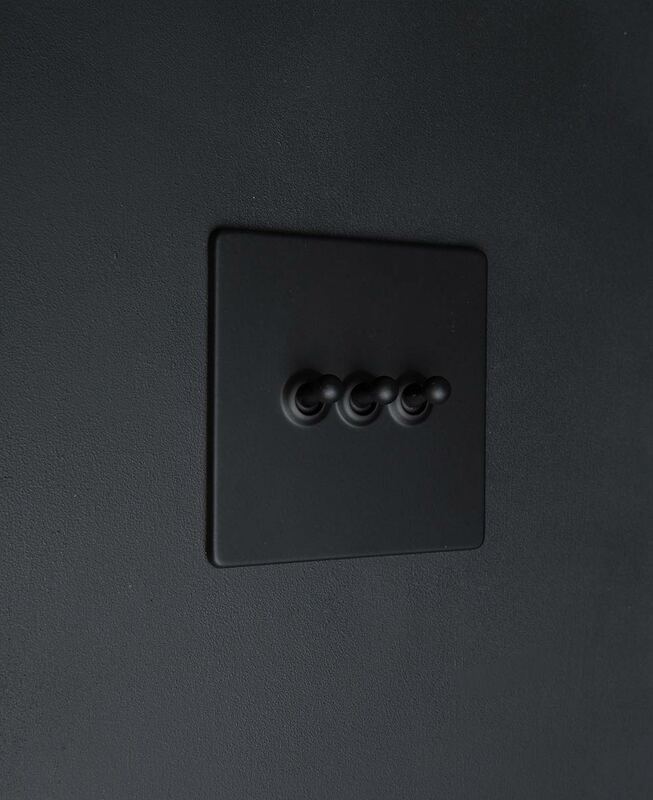 Although, place this switch on a matt white wall and it makes quite a statement. It’s great in a Danish loft-inspired interior adding the perfect visual link between your black feature lights and their switches. If your style is more Gothic, then again this is a great option… Retro industrial Gothic. Maybe we’ve stumbled across a new niche. 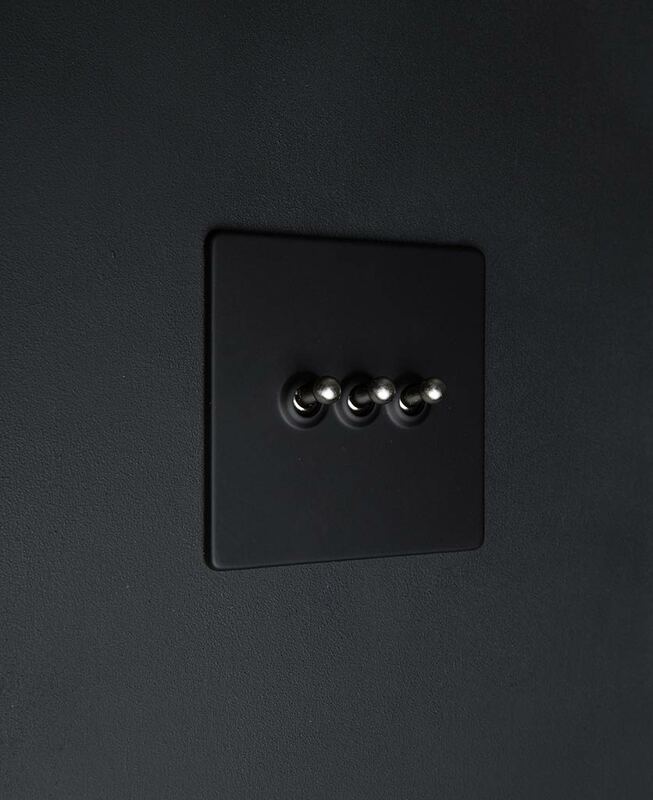 This toggle is part of our black and switches and dimmers range. A varied collection of designer switches, dimmers and sockets to match your modern rustic or industrial style home. We’re continually expanding our range; we’ve got single dimmers, double dimmers and even triple dimmers, as well as stylish 45 amp cooker switches and even fused spur switches. Pretty much every variation of switch you could need to update everything in your home – including your kitchen.